The San Juan Mountains are truly a special place to call home! This high and rugged mountain range is located in the Rocky Mountains of southwestern Colorado. There are more then 10,000 square miles of mountains, an area roughly the equal size to the state of Massachusetts. 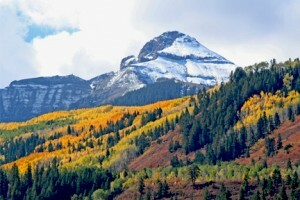 It is said to be the largest mountain system in America boosting fourteen 14,000’ peaks and seventy over 13,000’. It’s heaven on Earth and ready for any outdoor adventure winter, spring, summer or fall. Although breathtaking, the best part about this sacred area of Colorado is the people. The San Juan Community of artisans, ranchers, mountaineers and professionals alike are as wholesome, energetic and progressive as the natural wonderland that surrounds it. Passion through dedication, support through involvement and inspiration by giving back are often the heartbeat of our local story. Plain and simple: WE LOVE IT HERE! Community Owner: Position Open!! Are you our mom? Email Moms for Moms Communities!